The price listed is for each ring. 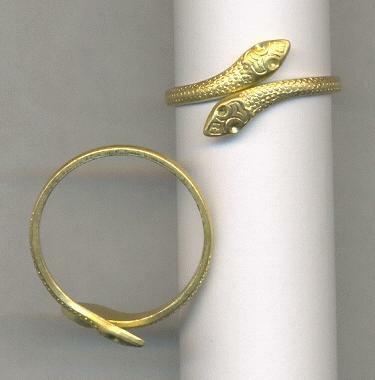 These are brass snake rings that can be adjusted to fit almost any finger. The eyes of the snake will hold a point back rhinestone measuring between about 5pp (1.2-1.3mm) and 9pp (1.5-1.6mm). 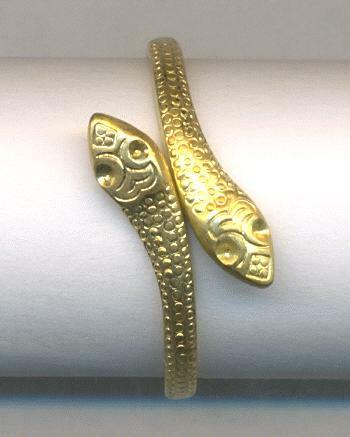 These are a heavier gauge brass measuring about 0.049'' (16-17 gauge) on the bottom band portion and about 0.077'' (12-13 gauge) for the snake heads.